Welcome home to 12315 Lever Street! Why wait for new construction when all of the upgrades are already here! 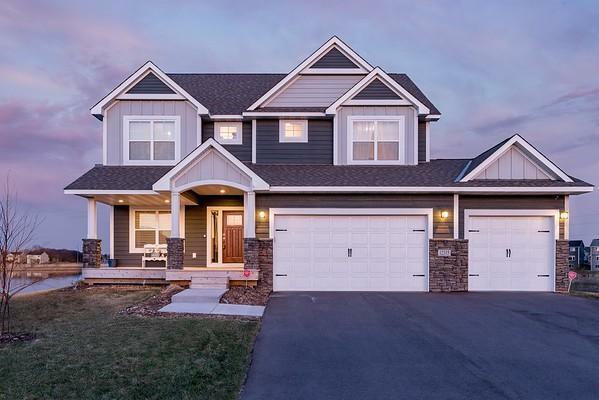 Home was built in 2017 as builder model including amazing kitchen with stunning backsplash, large island, and pantry! Gorgeous "built ins" with beautiful stone fireplace as the focal point of the open concept main level! Spacious mud room, powder bathroom and closet off of the 3 car attached garage! Customize the outdoor space with a deck or patio overlooking the pond!! Courtesy of Patriot Realty Inc.